Rockler Woodworking and Hardware has launched a new "Build It with Rockler" project – the Modern Bed Frame with Headboard - and is providing a free, downloadable plan, online skill-builder videos, and in-store tool demonstrations providing DIYers with all the resources they need to build it. The Modern Bed Frame project incorporates fundamental frame and panel construction, a skill set that will also be useful for future projects. 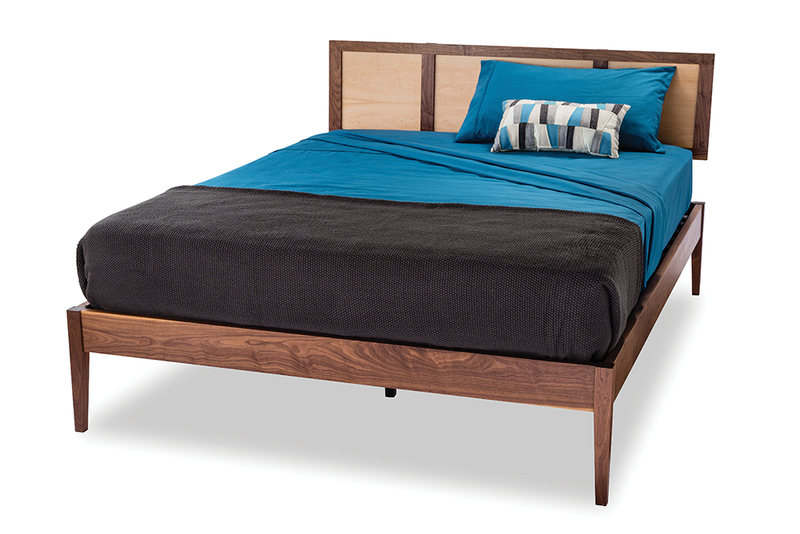 Rockler Woodworking and Hardware has launched a new "Build It with Rockler" project – t he Modern Bed Frame with Headboard - featuring the I-Semble Platform Bed Frame Kit. 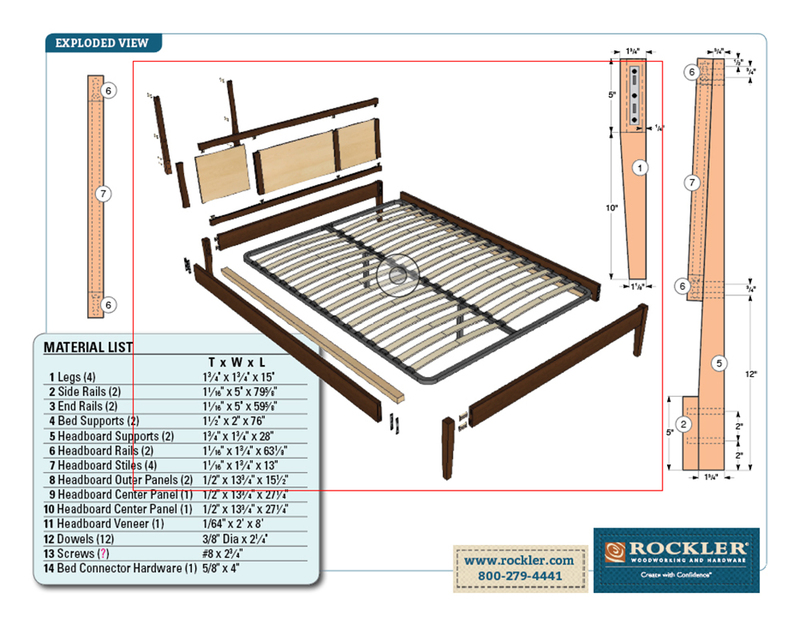 Rockler's free downloadable plan, online skill-builder videos, and in-store tool demonstrations offer DIYers the resources they need to build a queen size I-Semble Platform Bed with a matching wooden frame and headboard. The Modern Bed Frame project incorporates fundamental frame and panel construction, a skill set that will also be useful for future projects. 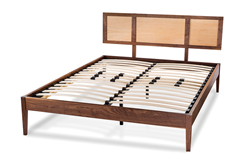 The I-Semble Platform Bed Kit features a steel frame and assembly hardware, plus two rows of contoured wood slats for flexible, comfortable support when the load of the mattress and sleeper(s) are added. The slats eliminate the need for a box spring, creating twelve inches of clearance under the bed for storage. The wooden bed frame and headboard are then built around and connected to the basic platform bed structure. The complete plan and additional project information are available at rockler.com/build. The free downloadable plan includes an exploded view of the project, list of materials required to perform the build and step-by-step instructions punctuated by several photos to aid in the assembly process. Skill-builder videos showing the process of installing bed rail fastener brackets, using the Beadlock® joinery system to create a strong framework and using the Rockler Taper Jig to cut tapered legs are also available to view online. "Building furniture to be used on a daily basis doesn't have to be hard, in fact we are finding ways to make it fun," said Scott Ekman, Rockler's vice president of marketing. "The 'Build It With Rockler' advantage gives DIYers everything they need to complete the project, from detailed plans and videos to a list of the tools, hardware and materials, plus online videos and in-store demos to help them from start to finish." All Rockler retail stores will host demonstrations throughout February that cover tools and techniques required to complete the Modern Bed Frame with Headboard. The stores also stock the required tools and materials that are listed in the free downloadable plan. Rockler plans to offer complete "Build It With Rockler" solutions for additional projects in the future. Celebrating its 64th year as a family-run business, Rockler Woodworking and Hardware is the nation’s premier supplier of specialty hardware, tools, lumber and other high-quality woodworking and do-it-yourself products. Rockler has 37 retail locations in AZ, CA, CO, FL, GA, IL, IN, MA, ME, MI, MN, MO, NH, NY, OH, OR, PA, TX, WA, and WI, as well as extensive catalog and internet operations.